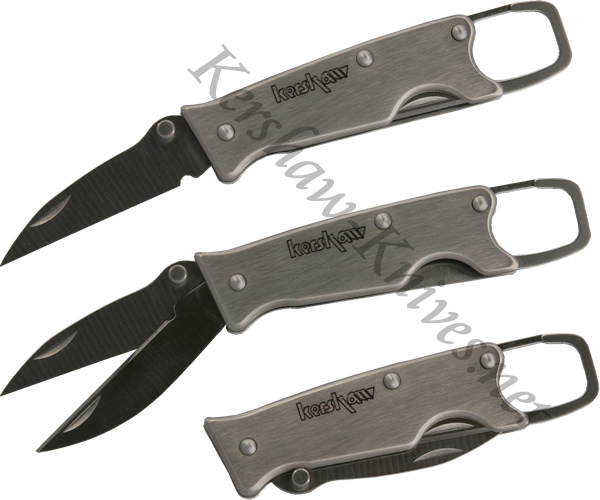 The Kershaw Two Can knife sort of resembles the beak of a bird with the same name. This Kershaw 1001 model has two blades. Pull out the first blade when you just want to cut something. Then when only scissors will get the job done pull out the second blade. Then squeeze the two blades between your fingers and you have got yourself a pair of spring-loaded scissors. The Kershaw Two Can knife is easy to carry thanks to its built in carabiner.